There’s a universe in which The Hobbit trilogy was a single, fun adventure film with thematic and character groundwork that made The Lords Of The Rings films stronger for its existence, rather than making the audience seriously question whether Peter Jackson’s first crack at the Tolkien universe was as good as everyone remembers. Thanks to some industrious fan editors, the closest thing to the first scenario has already happened in the form of a single 4.5 hour Hobbit film stripped of any non-book material. Completing the circle, this second fan edit, by David Killstein, features only the scenes of Gandalf the Grey (and eventually other members of the White Council) fighting off the gathering forces of The Necromancer at Dol Guldur. This is a far more enjoyable way to experience this expanded ancillary Rings universe material. At 43 minutes, what was a needless side plot among The Hobbit trilogy’s many questionable asides is now a fun side quest more akin to a longer Marvel One-Shot, or even a TV special. It doesn’t make Gandalf’s castle quest particularly great (the special effects are surprisingly video game-ish), but it’s a much more satisfying trifle for fans in standalone form than shoehorned into a narrative that really didn’t support it. 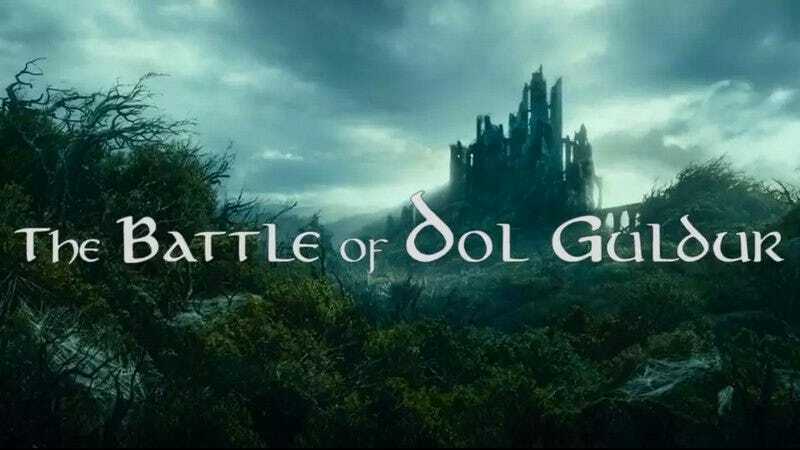 LOTR: The Battle of Dol Guldur - Full FanEdit from David Killstein on Vimeo.